Lucy Balkham, Clare Bundy, Ricky Lythe, Danny ?, and Joanne Stanyard. My name is Andrew Thomas and Im standing 3rd from the right and I think its David Rollison standing 3rd from the left. I think that's me standing at the end of the back row on the left-hand side. My name was Debbie Leney. My daughter Samara Strong (now Hume) is front row centre. 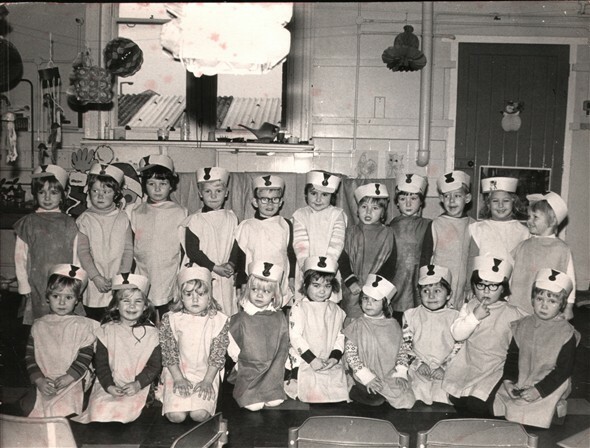 The little girl 4th from the left in the front row is Lucy Balkham.